Watford claimed their first three-point haul under new head coach Giuseppe Sannino with a 4-0 victory over Millwall. The Hornets had gone into the game without scoring at home for 382 minutes in a run that had seen them lose their last five matches at Vicarage Road, but their drought was to last only another 10 minutes after Millwall suffered an early sending off. Dan Shittu was dismissed for bringing down Troy Deeney, who then slotted home the resulting penalty to open the scoring. 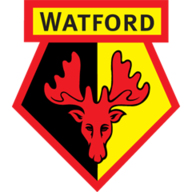 Fernando Forestieri then added a second just before the half-hour before second-half goals from Ikechi Anya and Lewis McGugan - from another penalty - sealed a much-welcomed win for Watford as they made the most of their numerical advantage. While Watford were left to celebrate their first win since the start of October, Millwall have now suffered three successive league defeats and remain in trouble at the wrong end of the standings. Their cause was badly hit by the ninth-minute dismissal of Shittu, who tripped Deeney as he was preparing to shoot after being put in on goal by a fine through-ball from McGugan. It was a clear goalscoring opportunity and referee Andy D'Urso had no alternative but to show a red card to the former Hornets defender before Deeney calmly tucked away the resulting penalty to score his 11th of the season. Despite being reduced to 10 men, the Lions were almost level inside three minutes when a Steve Morison header from a Martyn Woolford corner was cleared off the line by Anya. Paul Robinson had replaced Guy Moussi by this stage as Lions boss Steve Lomas shuffled his side following Shittu's dismissal but the Millwall substitute was fortunate not to also be sent off in the 20th minute when he tugged back Deeney as he broke through on goal in the penalty area. On that occasion though, D'Urso decided to let play continue. But Watford did double their advantage eight minutes later when a fine diagonal ball from Sean Murray to the left picked out Anya, who laid it first time across the six-yard box where Forestieri took a touch before beating David Forde from close range. The Hornets made it 3-0 within three minutes of the restart when George Thorne's cross-field ball found Anya on the left. He initially shaped to go outside two opponents before cutting back inside and hitting a fine rising right-footed shot inside Forde's near post from 20 yards. The home side almost scored a fourth goal two minutes after that when Forestieri let fly from distance and Forde could only stand and watch as the ball rebounded to safety off the inside of his right-hand upright. 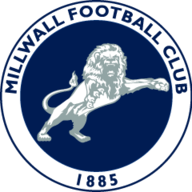 Millwall thought they had pulled a goal back in the 54th minute when Morison nodded in from close range after a free-kick had been headed back across goal but it was ruled out for offside. But six minutes later the Lions had conceded a fourth goal, and a second from the penalty spot after the referee's assistant spotted a Robinson handball following a Sean Murray cross. McGugan took over spot-kick duties and confidently found the back of the net. It would have been even worse for the visitors had Forestieri not had a goal ruled out for offside and McGugan struck the crossbar when he seemed certain to net a fifth.